Boil potatoes in their jackets in salted water until tender but not falling apart. 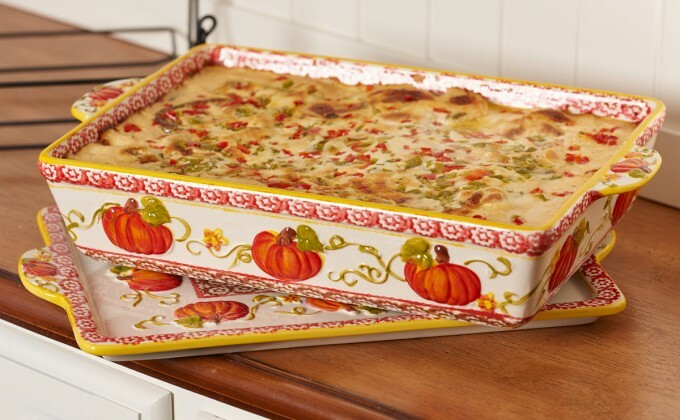 When cool, peel, slice and layer in a buttered temp-tations® 4 quart baker with slivered bell pepper and pimento. Salt and pepper each layer. Melt butter in saucepan; add flour and stir until well blended. Gradually add milk, stirring constantly. Add cheeses which have been cubed or grated, cook until melted; add chopped jalapeno pepper, stir well.